We are honoured to have you as our guest and hope your visit will be an experience of a lifetime! 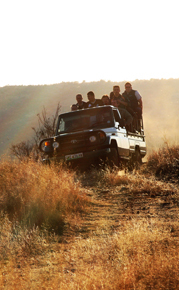 The Elgro River Lodge offers a wide variety of activities including Mountainbiking, Flyfishing, River Rafting, Birdwatching, 3D Traditional Archery, High Ropes and Teambuilding courses, Gamedrives and much more to choose from. 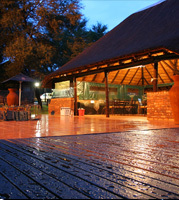 The Elgro River Lodge is home to a great diversity of game, like Impala, Eland, Waterbuck, Kudu etc. The drives take you through the spectacular mountains and up to view points with beauty that you can only imagine. Book and experience a magnificent African sunset. The Elgro River Lodge hosts great events throughout the month like Mountainbiking, Bird Watching and 3D Traditional Archery...Book today! Whether it's a game drive you're after or an adrenaline rush down the river on a raft the Elgro River Lodge is the place to be.